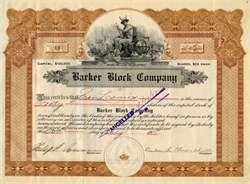 Beautiful stock certificate from Barker Block Company - Los Angeles, California 1911 This historic document has an ornate border around it with a vignette of a Mercury sitting. 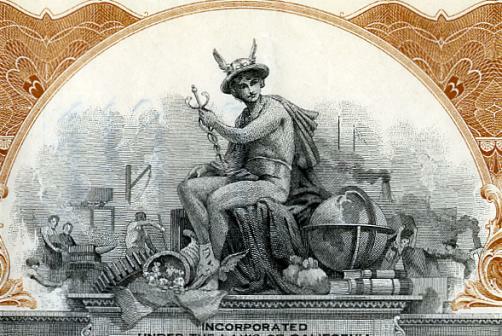 This item has the signatures of the Company’s President, Owen H. Churchill and Secretary, Philip D. Rowan and is over 101 years old. The company was involved in Real Estate Development in the Los Angleles area on the Barker Block around Water and Main Streets.